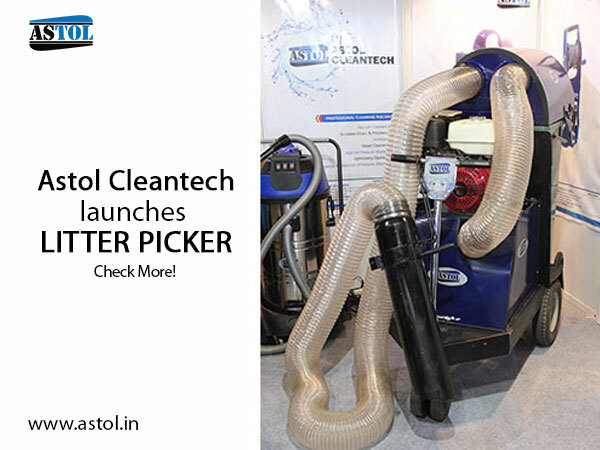 Astol Cleantech (P) Ltd. is the leading supplier of industrial cleaning solutions and premium housekeeping equipment in India. 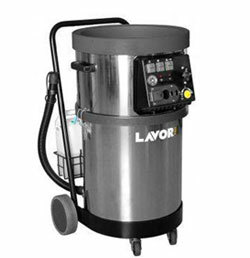 We offer a wide range of high-quality vacuum cleaners, scrubbers & polishers, walk-behind & ride-on scrubber-dryers, jet cold & hot pressure washers, road sweeper machines, ride-on sweeper, floor care machines and other housekeeping products. Keeping the house tidy is very important to maintain the family's health. In addition, living in a clean and orderly home contributes to one's efficiency. If you want to speed up your cleaning skills to save time, read more. 1. Determine what needs to be cleaned. To save you time, you have to target the area of your house that needs to be cleaned. Sweeping in an already clean area will not contribute to keeping your home neat. According to Astol Cleantech, your cabinets, windows, countertops and floors are among the things that you should clean this spring. Target the high-traffic zone in your home. 2. Use the right tool. Cleaning won't be fast and efficient without the right tool. If you are cleaning the carpet and rugs in your home, Astol Cleantech advises that you use a vacuum, cotton cloths, reliable concentrated cleaner, degreaser and hair dryer. 3. For curtains, revive them by steaming. Most fabrics can be steamed, which ultimately removes bad odors. The process will not take over 10 minutes. First, close the window and spray the curtain with the Cleaning solution. Run the steamer from top to bottom. Open the window and let the curtains dry. 4. For your deck, skip the manual labor of wiping it by hand. As per Astol Cleantech, you can pressure-wash your deck. Use the one with a tip that produces a spray about the width of two-by-four. Also, avoid too much pressure, just use medium pressure and keep the spray moving, that is the trick to avoid your deck from damages. Then, apply a wood preservative to prevent discoloration and water damage. 5. Delegate the work. Cleaning the entire house by yourself will surely take time. If you are living with your spouse and children, it won't hurt them if you invite them to join in the task. Astol Cleantech advice that you share the load. Cleaning is more fun if the family members work together. How do you clean your house? What are your secrets in cleaning your home efficiently? Share your tips and strategies in the comment section below. At Waste Technology India Expo-Clean India Technology Week Astol launched Litter Picker IV 200/10PVacuum that is specifically designed for collecting voluminous waste in matter of seconds. The indigenous product is self-independent power powerful Honda petrol engine for drive turbo vacuum unit turbine, Its high suction and strong air flow pick-up heavy debris such as bottles, waste paper cups, cans, leaf and other plastic materials. 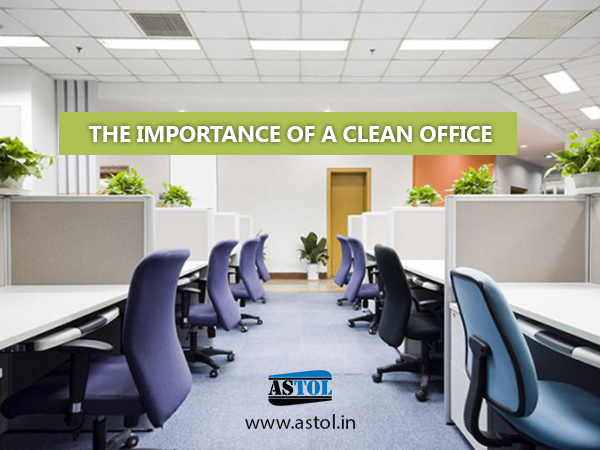 One thing is for sure; office cleaning is one of the most important things that you need to think about if you are the person who is in charge at your office. With this being the case, it is vital that you stay on top of all of the things that need to be done. Because of this, you might find that it would help to think about the reasons that office cleaning is so important. The first reason is the fact that if you ensure that the place is clean and tidy, the people who work in the office are much less likely to catch anything through the germs that are left around. With this being the case, it therefore stands to reason that you would lose many fewer hours due to absences, and this means that you would neither have to put up with a loss in profits, nor would you have to cope with finding a replacement for the staff who are off for a longer period of time. In addition to this, office cleaning is vital to help to prevent things from going wrong in your office. In such a stressful and fast paced environment, you might find that people don’t pay the amount of attention that they should to what they’re doing, and this could mean that they injure themselves by falling over things that have been left lying around by people who haven’t bothered to do the cleaning up properly. If this happens, then you might even find that you have to spend a lot of money in compensation, which is something that you more than likely can’t afford. Also, you should find that taking the duties of cleaning away from your staff and hiring an office cleaning company is something that would help a lot. It would allow them to focus on the job that they are hired to do, rather than things that they’re not actually all that keen on, and this means that they will be much better for your company in the long term. Ultimately, office cleaning should be something that is a priority when you’re running a business, as it means that you are able to keep everywhere clean and tidy, and also that you can increase the chances that you’re going to be able to make a profit which will be more impressive than it might have been in the past. Just as the clothes we wear need regular washing to keep them fresh and hygienic, our carpets and upholstered furniture require periodic cleaning. Accumulated soil and grit are major causes of reduced carpet and fabric life, and enable destructive and health harmful mites and bacteria to work unchecked. Cleaning costs are minimal when you consider the replacement cost of carpets and furnishings, so regular cleaning makes economic sense too. Little do most of us realise that what we are seeing is only a tiny fraction of the soil that a carpet contains. The visible grime we notice is only the tip of the iceberg; up to 85 per cent of the dirt the carpet holds is buried deep within the pile. And when you consider that a carpet can eventually trap its own weight or more in soil - as much as 150 lbs for an average-sized living-room - you'll agree it's no trivial matter. Stain Removal - No longer worry about concealing those discomforting spots, marks and dried in spillages, professional cleaning can ensure removal of most stubborn stains. 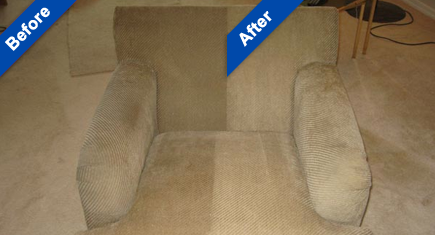 Improved appearance - Even the oldest of carpets and furniture can look brand new following professional cleaning. Deodorisation - Most odours can be eliminated by general professional cleaning and NCCA members can offer specialist treatments to ensure a fresh, clean smelling carpet. Regular vacuuming is a necessity to keep your carpets clean and hygienic, and some of you will use other equipment to help maintain and preserve your valuable floor coverings. However, most domestic vacuum cleaners, shampooers and steamers, even the more powerful ones, haven't got what it takes to get rid of that deep-down dirt or nasty germs. This is one of those jobs for the professionals, with their highly sophisticated equipment and the training and experience to know how, when and where to use it. 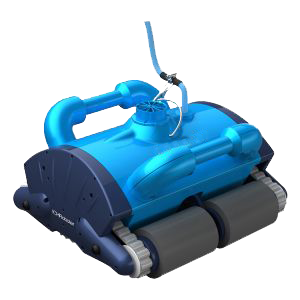 Astol robots saves 30% Chemical and 90% Energy. Astol robots have 3 Pre- programmed timing option. The porosity of filter bag is 70 micron, which is smaller than thickness of human hair. The Main unit has very high water ingress Protection (IP 68). This is very good for electronics products. For more details contact: Astol Cleantech Pvt. Ltd. Ideal for carpeting, upholstery, dusting and allied applications. 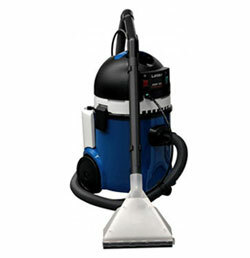 This vacuum cleaner is designed for removing high volume of dirt to assure the deeper cleaning on various surfaces. 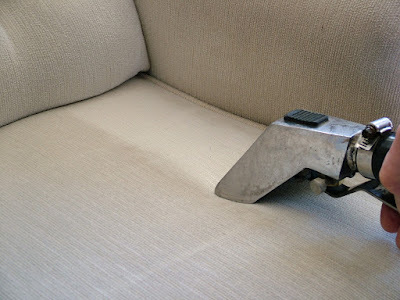 Test cleaning products for colorfastness and shrinkage in an area you can’t see before spot-cleaning upholstery and furniture. Make your own non-toxic, environmentally safe, water-based upholstery cleaner by mixing one cup of warm water with 1/4 cup of dishwashing soap in a mixing bowl. With an electric mixer, beat until liquid becomes a thick foam. Vacuum surfaces thoroughly with vacuum attachment. With a soft-bristled brush, rub foam cleaner onto fabric. Remove foam with a spatula. With a clean, damp cloth, wipe away remaining suds. Use care: Too much water can leave stains and cause fabric shrinkage. Keep cleaning solution away from wood accents. For further advice and support on choosing the very best Upholstery Cleaner machine for your industry, contact Astol Cleantech (P) Ltd.
No matter what industry you operate in, it’s absolutely essential to ensure that you own the kind of equipment that’ll guarantee to keep your floors in perfect condition at all times. Not only does dirty flooring lead to an unsightly, unprofessional appearance, it also has the potential to create the kind of unsanitary conditions that can lead to health and safety issues in the future. Keeping your floors looking their very best promotes a proficient, caring company image, and also ensures the safety of everyone operating the working environment. When it comes to scrubbing commercial floors, selecting the right floor cleaning machine is half the battle. There are so many to choose from that the options can seem overwhelming, so it is worthwhile taking the time to assess your business needs to help you to make an informed choice. Listed here are a few questions to consider, which will help you to make the right decision and get the best value from the floor cleaning equipment you invest in. This is the first thing you need to ask yourself when it comes to selecting a floor cleaning machine for your company. Take a good look at what kind of job you need to do, and what kind of surface you’re looking to clean. Any outside jobs can get the best results through use of a scrubber drier, as these machines will enact the kind of strong force required to remove dirt from areas where it accumulates quickly. Floor sweepers can be used for most hard flooring, with alternative brush types available to sweep away different kinds of dirt (for example, finer dirt will require a softer brush for better effects). A buffing machine is ideal for any large spaces, as mopping expansive environments is not only tiring but also hugely time consuming. Pressure washers are also an effective investment for large commercial areas, and for smaller spaces it may be worth looking at purchasing a pedestrian model. Vacuum cleaners are ideal for removing dirt from carpeted floors, and remember to keep in mind that certain models can also double up as hard surface floor cleaners, with the ability to remove any wet patches or stubborn dirt. It’s important to keep in mind how many times you’ll need to use a particular cleaning machine when selecting one for your business. If you’re looking to renovate an industry space as a one-off job, then hiring a powerful cleaning equipment might be your best option. For any floors that require frequent cleaning, it may be better to buy your own equipment so that you have the right machine on hand for any time you need it. It’s also taking account of the environment around you when selecting a particular floor cleaning machine. If you are looking to clean a public place, a smaller machine that generates less noise is the right way to go, whereas if you’re attempting to enhance the appearance of large industrial space, then a large, powerful ride-on machine is best equipped to do the job. For further advice and support on choosing the very best floor cleaning machine for your industry, contact Astol Cleantech (P) Ltd.